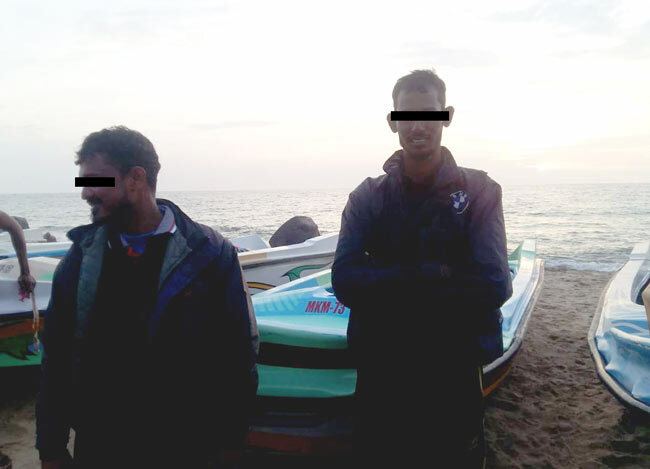 The Sri Lanka Navy held 02 persons who engaged in illegal fishing using unauthorized fishing nets in Palliyawasalpadu area. The arrest was made by a group of naval personnel attached to the Northwestern Naval Command during a foot patrol, stated the Navy. The Navy has also seized a 225m long unauthorized fishing net and a dinghy belonging to them during this arrest. 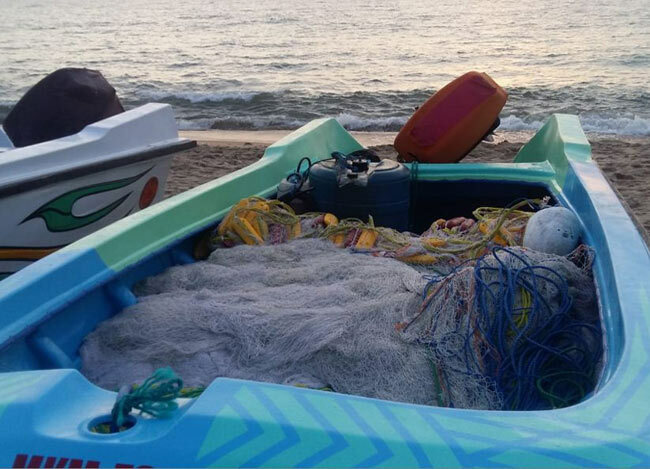 The arrested persons together with the fishing net, dinghy, and other fishing gear were handed over to the District Fisheries Office, Puttalam for onward legal action.